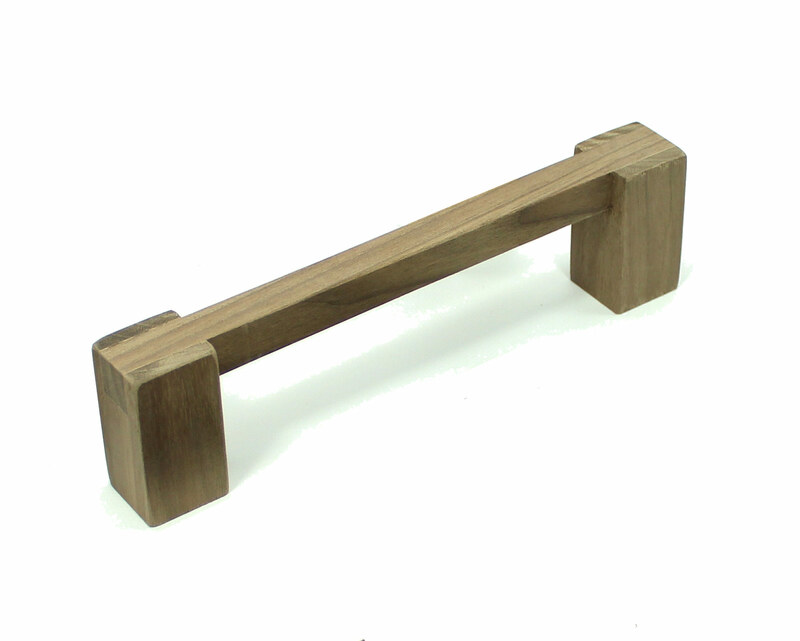 Happy Bungalow Unfinished Walnut Wood Handle Hand-crafted walnut Pull. 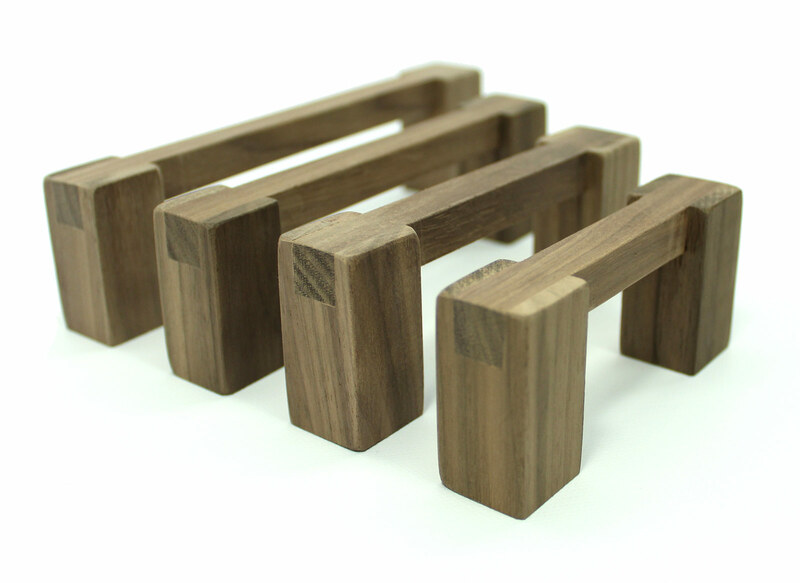 We make these cabinet pulls from natural wood. Everything is sanded smooth and the edges & corners are just so-slightly rounded over. This pull is gentle on fingers and easy to grasp. 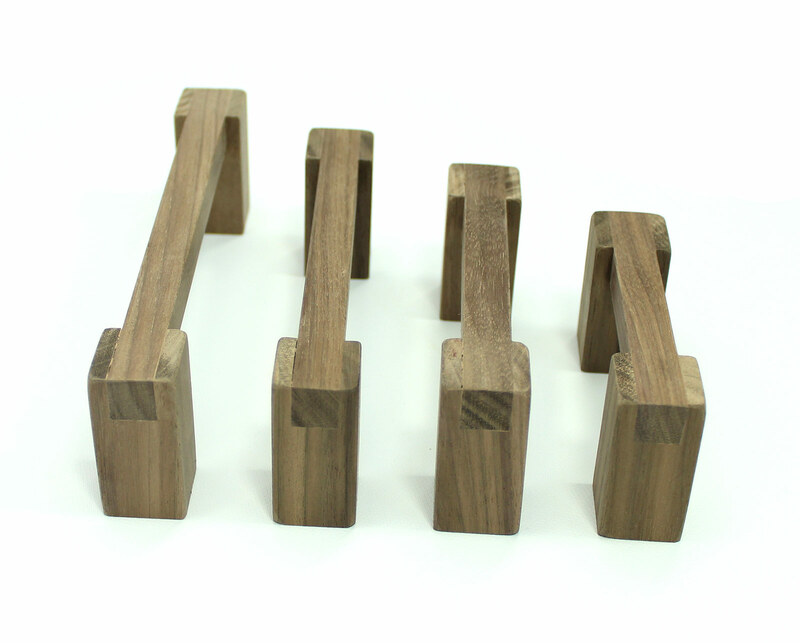 These natural walnut pulls (real wood) are unfinished, allowing you to match the finish of these pulls to your cabinet finish (purchase pre-finished pulls here). 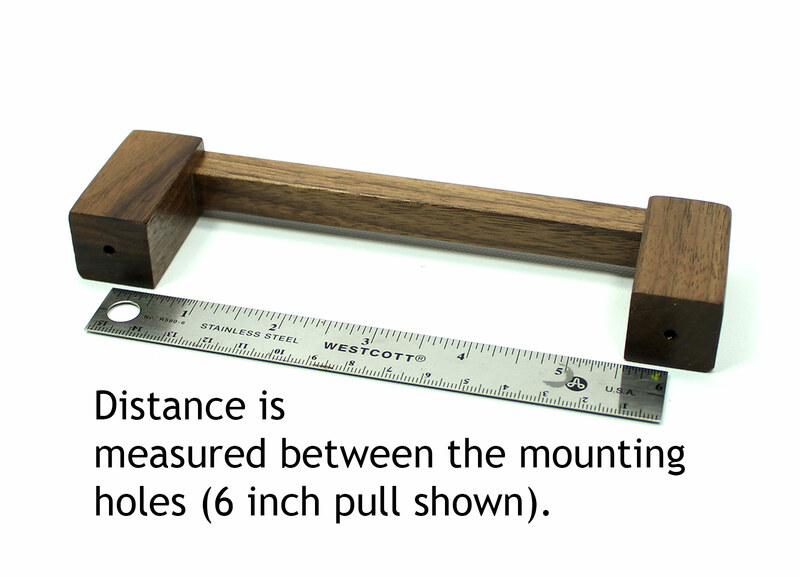 Shown in the first is a 6 inch pull (sixinches between post mounting holes). 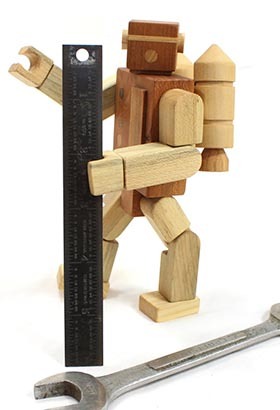 Standard widths are from 3-6 inches. 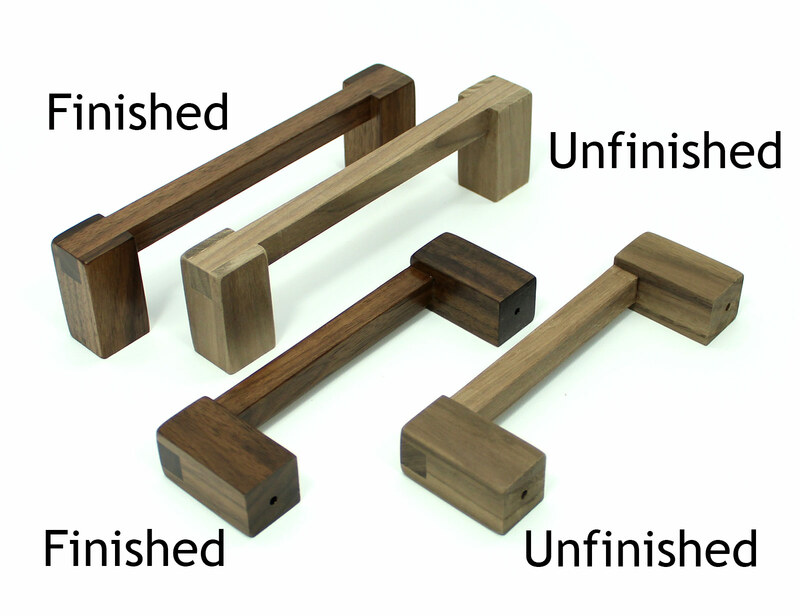 Custom width to any 1/4 inch increment less than 6 inches available. Please contact us for any custom requests (send an email to don@happybungalow.com or contact us via our website).